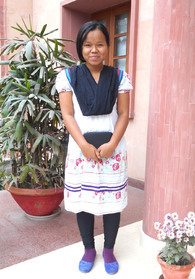 I was born March 10, 1985, into a believers’ family in India. From childhood, I went to Sunday school and Sunday worship. When my parents got married they did not have any children for many years. At this situation, they met a pastor who shared the Word with them and encouraged them to pray. 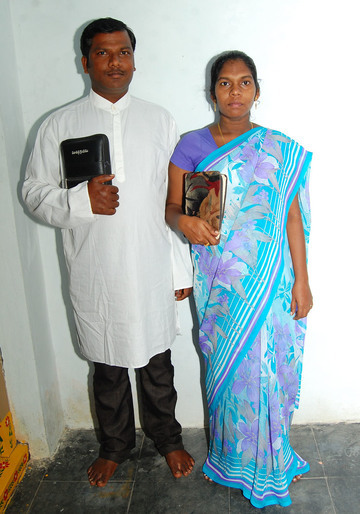 They started praying earnestly and surprisingly God helped my mother to conceive and I came into their family. Since then my mother desired that I should serve God. One day, as my mother was reading the Bible, she came across the life of Abraham. It was then she thought about the promise she made with God. Then my parents shared their desire with me and I was willing to go ahead with it. Knowing my drawbacks, I confessed my sins and chose to trust in Jesus Christ only. From then on, His sweet company and blessings engulfed me with eternal peace. 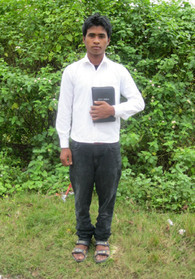 I constantly meditated on God’s Word and also developed a passion to share the Good News to the poor. Confirming His call, I enrolled in a Bible School to train myself for the ministry ahead.